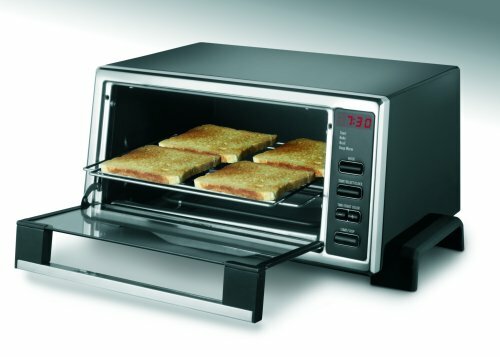 DeLonghi DO400 Digital Toaster Oven lets you make toast, bagels or English muffins just the way you like it. The easy to use digital controls let you bake, broil, toast or keep warm. The toast color selector with automatic shut-off allows you to choose settings from light to dark. 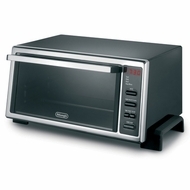 The user friendly digital controls let you bake, broil, toast of keep your food warm. This is the ideal multi-function family oven. Multiple cooking settings with adjustable temperature control let you prepare food simply and conveniently. Oven includes a bake pan and broiling rack. The body is black with chrome accents.